Indulge in our Salted Caramel Chocolate Cups! Our homemade caramel recipe is covered in dark chocolate and sprinkled with sea salt. The mix of our gooey caramel, sweet dark chocolate, and sea salt is a combination to die for! 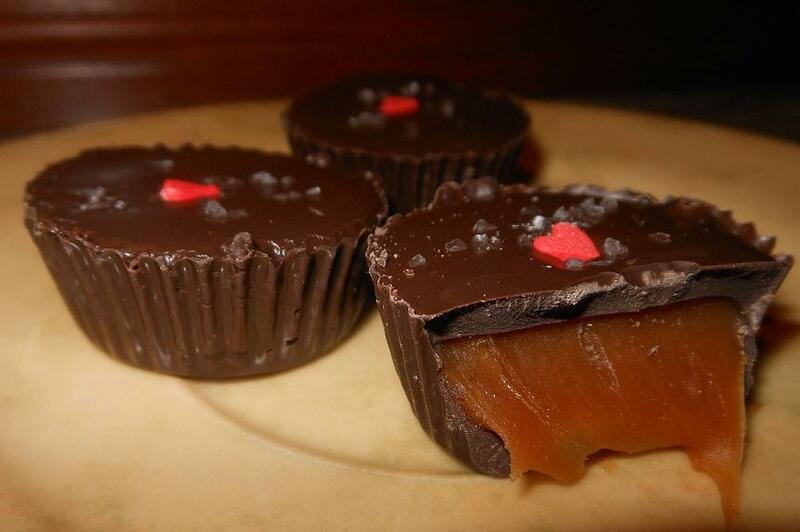 Our Salted Caramel Chocolate Cups are sold in boxes of 16. Discounts are given when purchasing 2+ boxes shipping to the same address.